Anita is watching dolphins leap from the surf in the warm Gulf waters of Alabama. Valentine’s Day isn’t one of our favorite holidays…we’ve never made a big deal of it but I do miss her. 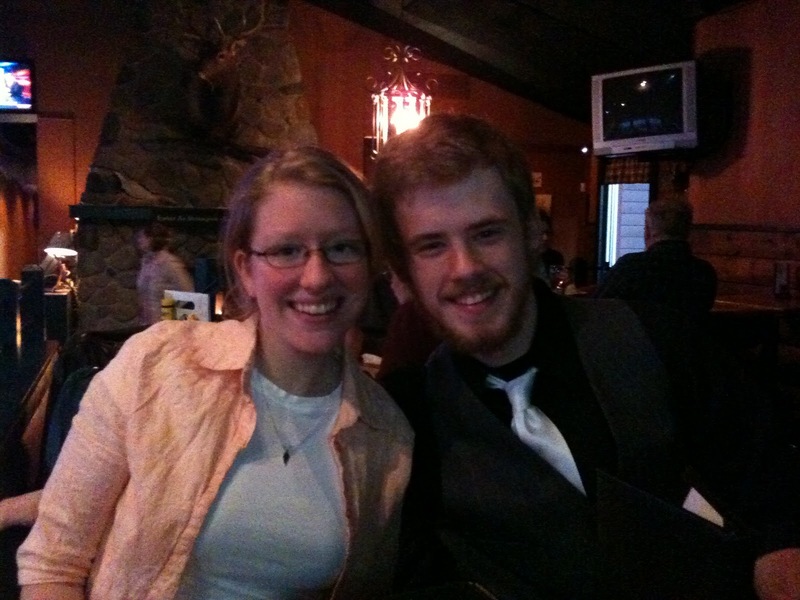 I took Emily, Ben and John to Wolfies (my third visit in a week) and shared a wonderful supper together. It was a very nice evening. Emily and John went dancing and Ben and I went home.